4-in-1 Love Your Selfie™ is a skincare-infused Longwear Foundation & Concealer that instantly helps conceal, correct and improve the skin’s appearance with flawless-looking coverage in 100 universal shades. Ready to love your complexion? It’s time to love your skin, your selfie and the way you look from every angle with 4-in-1 Love Your Selfie.™ This groundbreaking, all-in-one, skincare-infused Longwear Foundation & Concealer instantly masks and blurs the look of imperfections as it helps enhance your natural beauty. Enriched with age-defying Ceretin® Complex and antioxidant-rich Energy Complex, that’s made from a signature blend of Green Tea, Ginseng and Vitamin B, this redefining complexion miracle is makeup you can feel good about. Packed with good-for-your-skin nutrients, this medium-to-full coverage foundation & concealer helps fight against environmental stressors, as well as the skin-damaging effects caused by exposure to daily, high energy visible blue light. Choose your perfect match from 100 vegan-friendly shades—consisting of cool (pink), neutral, and warm (gold) undertones—that seamlessly blend onto the skin for an airbrushed-looking glow that’s universally flattering. Help conceal blemishes, dark spots and imperfections with the targeted, built-in doe foot applicator, or achieve buildable, all-over coverage with the convenient, traditional pump. Go ahead and snap your best selfie… we’ve got Ü covered for a finish that’s so flawless-looking, you’ll skip the filters! Concealer: Use the doe foot applicator to apply 4-in-1 Love Your Selfie™ directly onto imperfections or dark spots. Blend using BHOLDER™ Cruelty Free Dual Action Applicator. Foundation: Apply 1-2 pumps directly onto the face using your finger. Blend using BHOLDER™ Cruelty Free Dual Action Applicator. Mix in No Filter Blurring Photography Primer with 4-in-1 Love Your Selfie™ Longwear Foundation & Concealer by applying both directly to the silicone center of BHOLDER™ for a more glowy, radiant-looking finish. Sun Burn Alert: This product contains an alpha hydroxy acid (AHA) that may increase your skin's sensitivity to the sun and particularly the possibility of sunburn. Use a sunscreen, wear protective clothing, and limit sun exposure while using this product and for a week afterwards. AQUA, CYCLOPENTASILOXANE, METHYL METHACRYLATE CROSSPOLYMER, BUTYLENE GLYCOL, PHENYL TRIMETHICONE, ETHYLHEXYL PALMITATE, CAPRYLYL METHICONE, CETYL PEG/PPG-10/1 DIMETHICONE, CYCLOHEXASILOXANE, DIPHENYLSILOXY PHENYL TRIMETHICONE, PEG-10 DIMETHICONE, SORBITAN ISOSTEARATE, TRIMETHYLSILOXYSILICATE, SODIUM CHLORIDE, DIMETHICONE/VINYL DIMETHICONE CROSSPOLYMER, DIMETHICONE, CERAMIDE AP, RETINOL, LACTIC ACID, BUTYROSPERMUM PARKII (SHEA) BUTTER EXTRACT, SODIUM STARCH OCTENYLSUCCINATE, CAMELLIA SINENSIS (GREEN TEA) LEAF EXTRACT, PANAX GINSENG ROOT EXTRACT, PANTHENOL, VACCINIUM VITIS-IDAEA (LINGONBERRY) FRUIT EXTRACT, DISTEARDIMONIUM HECTORITE, TRIETHOXYCAPRYLYLSILANE, ALUMINUM HYDROXIDE, COFFEA ARABICA (COFFEE) SEED EXTRACT, ORYZA SATIVA (RICE) BRAN EXTRACT, LAUROYL LYSINE, HELIANTHUS ANNUUS (SUNFLOWER) SEED OIL, OLEA EUROPAEA (OLIVE) FRUIT OIL, TUBER MELANOSPORUM EXTRACT, VITIS VINIFERA (GRAPE) FRUIT EXTRACT, CALCIUM GLUCONATE, PHENOXYETHANOL, GLYCERIN, TRIETHYL CITRATE, ETHYLHEXYLGLYCERIN, DISODIUM EDTA, CITRIC ACID, XANTHAN GUM, GLUCONOLACTONE, SODIUM BENZOATE, 1, 2-HEXANEDIOL, BIOSACCHARIDE GUM-4. MAY CONTAIN [+/-]: TITANIUM DIOXIDE (CI 77891), IRON OXIDES (CI 77491, 77492, 77499). I really love this formula! I've been getting a lot of compliments on how great my skin looks - a lot of people can't even tell it's the skin-like finish of the foundation & not my actual skin, so I do love that! Also, I have hyperpigmentation around my eyes, and it takes layers of concealer (sometimes various shades), foundation, and powder to get an even look. With this formula I am able to target & build (via the doe foot) and skip additional steps of layering because I'm able to achieve a full coverage even tone with just a few sweeps! Honestly - this is major and enough for me completely ditch my old 'eye concealing' routine. A must buy for hyperpigmentation! I love this product! I have hyperpigmentation from previous breakouts and this hides the hyperpigmentation very well! This foundation feel light on the face. The foundation do not need to be reapplied at the need of the day. 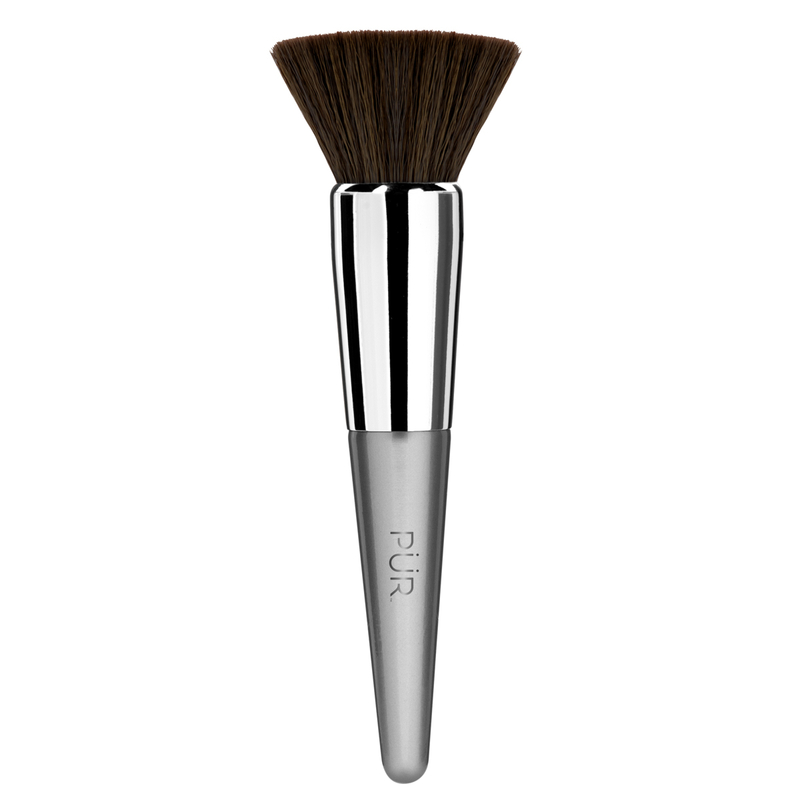 The application with the brush make it easy to smooth and apply the foundation. I will be purchasing this product in the future. It is a new fave of my daily routine. I love this foundation! It doesn 't leave you feeling or looking cakey. Blends seamlessly and is long lasting! I wore it for 10 hours one day and look great at the end of my shift! I honestly love how you can apply it using a doe foot or the pump. That makes it really easy to conceal under your eyes. The fact that it can be a foundation and a concealer is another huge win! It feels really nice and light weight on the skin, and dries down to a really pretty natural like finish. That is my favorite kind of foundation! I'm so happy that there are 100 shades with such a wide variety of undertones. I'm absolutely in love with it. This is a nice foundation. I have more oily skin and acne prone skin. I find this foundation has amazing coverage and is easy to blend out. The range of colors is fantastic!! They have 100 shades. The foundation last a good amount of time and look very pretty on the skin. Now for the flaws, I feel if you have normal or dry skin you will love this foundation. But with someone like me with oily skin, I find it gets quite oily and heavy feeling after awhile. I also find it settles into my fine lines and smile lines after a few hours of wear time with or without a primer. I definitely have to blot atleast once during the day which is fine. It 's a nice foundation but not my favorite. However I do love the coverage and the way it look when you first put it on. I will be trying it out more with different primers as I know some foundations work best with certain primers! I work full time and come home to a restless toddler so I need products that can do more than one thing to cut on time and add some convenience, this foundation helps take concealer to it of the equation for me. It does not take very much to cover my very dark under eye circles and it also covers up some broken blood vessels I have on the tops of my cheek bones. This blends like a dream with a brush or a makeup sponge. It does not dry down immediately which I prefer. It DOES NOT OXIDIZE, which is fantastic. I was able to wear this foundation over a 10 hour span with minimal touch ups (I have an oily T Zone). This wore beautifully throughout the day and gave me a youthful/healthy appearance. I loved that it 's fragrance free and the ingredients are great for the skin. Over all I 'm in love with this product, although I felt like the doe foot applicator meant to be used as a concealer applicator was a little messy because it deposited way more product than needed I think. I 've used the 4 in 1 Love Your Selfie foundation and concealer for two days now. I think it has nice medium coverage for me. It isn 't cakey looking and it doesn 't make my face feel stiff which is usually my complaint with foundations. I didn 't feel like I could use it as a concealer because I tend to go lighter with my concealer. I think it makes my skin look smooth and healthy and I would definitely continue to use it over my usual foundation. I love this new Love Your Selfie Foundation. It goes on smoothly and stays on all day. It looks wonderful and isn 't too heavy. The brush is fun to use with it, but this foundation would look awesome with any brush! This foundation is very full coverage, and left me with a natural finish. I tend to reach for medium coverage foundations, but that 's okay because this double as a concealer so I 'll still be using it!!!! Love that it has two ways to apply! It feels amazing on the skin and left my looking looking like i had a filter!!! I absolutely loved it! It blends naturally in the skin without making it feel heavy. I love that is buildable and that it stays matte on the skin for long hours. I went to a dance class after using it and it stayed intact. I really love the foundation, unfortunately it was a little pale for me. This foundation has become my go to! It seriously covers everything! I have dark spots on my chin that i have to color correct but with this foundation i feel like i don't need to. A pump is all you need to get amazing coverage. It doesn't cling to any dry patches or any fine lines and the finish is beautiful. I also don't feel like i need to use a concealer since this foundation acts as both and lets be honest for my girls on the run this is great. I've worn this foundation for up to 10 hours and it hold up really nice. Although it is very full coverage it gives a beautiful natural look and glow from within. I love it and highly recommend it. I have combination skin as well a breakout prone and this foundation has not make me breakout. I am naturally fair/light and found that shade LN7 matched my self tanner perfectly. I feel like LN5 will be great to mix in and use as the color fades to my natural skin tone. Because this is a silicone based foundation, I used a silicone primer and it worked seamlessly for a smooth and poreless look that lasted all day without getting shiny. The packaging is so nice and I love how it can be used through the pump as foundation or unscrewed and used for spot concealing with the doe foot applicator. There was no noticeable smell and medium-builddable coverage that didn 't look cakey or sink into my fine lines. It was also not too dry but still matte enough to last without turning greasy in my tzone. A new favorite for sure! I liked how for the warmer weather its a great soft matte finish, the foundation didn't match me perfectly. It was lighter. But I could make it work. The finish was great and it lasted well, though not my average work day. I loved how it looked. There was not tightness. Perfect for quick light coverage or full coverage! Besides the shade being slightly too dark for me, this foundation worked really well with my skin! I will definitely use it in the summer when I'm tanner. It doesn't appear or feel cakey and is "breathable" which I really enjoy since it gets so hot in Texas. My skin is more on the oily side, but this foundation doesn't feel greasy or make my face look shiny. It stays on throughout the day and if I wanted to touch up for the evening, I could quickly use the concealer applicator. I started out with a small amount since I didn't know how pigmented it would be and a little goes a long way! The concealer applicator is handy for quick spot coverage if you don't want to put on a full face of foundation. I used the PUR primer before applying the foundation, too. I also like that it is long lasting and I haven't had to powder away any shiny-ness or re-apply. I don't wear a lot of foundation because I don't like the heavy feel on my skin and I was PLEASANTLY surprised at how much I liked this foundation. It feels like skin and there is zero scent. If you have very dry skin or any dry patches, I would wear a Hydrating primer but otherwise, this is quite impressive! Upon initial application, the foundation glides on and blends out seamlessly. After 8+ hours of wear, the foundation starts to separate and become a bit oily looking on my normal skin. I will say I was happy to recieve this and shade matched me perfectly (LP1). I like how the applicator is both a doe foot and a pump, its cute because I can see more control use with the doe foot. It goes on easy and blends out nice, its also very buildable. So on days you want to be natural, you wont need a lot, but you can also be a full coverage queen. This has become one of my favorite foundation! The formula is perfect, I love that it's full coverage but a little goes along way. I wore it on a night out and my makeup stayed in place, I did get a little oily in my t zone area but that is normal for me, but a little blotting sheet helped and the foundation stayed on flawlessly. I wore it for 4 hours without have to touch up. So this is the one to have in your makeup kit. This foundation is like NOTHING I've tried before! The foundation is a pump bottle...but twist the cap and there's a doe foot!! There are 100 shades!! I've never heard of a foundation with so many shades! It has great coverage. And it makes my skin look so smooth! It still looks great after wearing it all day. I love that it's full of skin loving and protecting ingredients. I could literally brag all day! I'm 40 years old and I finally found my holy grail! I will be recommending to everyone! Made my skin feel soft and hydrated! This FULL coverage matte finish foundation is absolutely stunning and only gets better the longer you wear it!! I got through a 14 hour day and still looked just as flawless as when I initially applied it!! The innovate packaging lets you use this product as a concealer for all over the face or under the eyes but the pump lets you dispense the perfect amount of product to achieve a flawless complexion!! 12/10 would recommend!! Lasts all day, don't feel it at all. What you do feel is softer, smoother skin. Also am amazed by the huge range of shades. As soon as I saw the shade MN1 I knew it was too light for my skin tone so my main focus would be to use as concealer. Though I also used it as foundation to see how it would sit on my skin and other foundation essentials like wear time and coverage. I used the BHolder brush. Focusing in the foundation, as a concealer it worked great. It cover dark circles under my eyes and uneven skin tone on my lids. The concealer on my nose looked pretty good even though the shade was too pink and light for my skin. Its definitely not for dry skin. At the moment I have dry patches on skin. I also have some fine lines. On both, the foundation sits in. However, on my pores which are somewhat noticeable this foundation cover them well without sinking in them and making them even more noticeable. Applying the foundation however was easier for me applying directly on my skin using the doe foot applicator meant to be used for concealer. Then using the brush and a sponge applicator for under the eyes. The part of the face I used foundation directly it blended and settled so well right away. Using the specific brush took more work for me. After about an hour I noticed the foundation looked less pink. It looked a lot more natural even with the shade being too light for me. Overall, I really liked the 4-in-1 Love Your Selfie Foundation & Concealer. I will choose the right shade but will use the one i currently have as concealer. I loved this product! It feels very smooth when applying it and you skin looks flawless. I also loved that it had a concealer brush in the foundation dropper. I am actually completely in love with this product. I recently hit the bottom of my old foundation, and was looking to find a new foundation since I can't use my Gorgio Armani foundation til I get tan again (lol). BUT LET ME TELL YOU, when I tried this foundation this week, I was blown away. I am in love. It dries down to the skin, unlike the previous stick foundation I tried from PUR. It's not patchy. Matches my skin perfectly. My favourite thing, is that it's completely full coverage without that heavy foundation feeling. PUR, you guys really nailed it with this. The price is so affordable as well, this is my new staple foundation. I am in love with this foundation!! I absolutely love the formula, and I love all the incredible anti-aging ingredients. I especially love that this contains protection from blue light and environmental stressors. I find this to be incredibly long-wearing on me but I gave it a 4 out of 5 as it does settle into my smile lines and emphasize some of my pores BUT that is not a huge deal for me because thats just my skin!! I honestly cannot stop looking in the mirror when I wear this foundation and I get a lot of compliments on how smooth my skin looks when I am wearing it! My skin looks ultra hydrated, youthful, and healthy and I cant get enough!! It is also completely weightless and does not feel heavy at all. I do prefer to use a wet sponge to apply this foundation, but thats the same with all foundations for me, I am just a sponge girl and I love the way the foundation sinks into my skin with it. I LOVE that this foundation has a pump AND a doe foot applicator for concealer use, I think this design is genius and I love using both applicators. One pump fully covers my face then I use the doe foot to add extra coverage to any areas that need it. Well done guys! I am impressed!! P.S. what an incredible shade range!!! I love that you have options to apply it. They work well as both foundations & concealers. They give medium-full coverage with a satin matte finish. I really like the way it looks & wears. Perfect foundation for a perfect selfie! I love that it saves me time, flawless application, amazing coverage and it lasted all day. First off, this is my first review of any product EVER. Due to an autoimmune disorder causing inflammation in my body, I can only use PUR Cosmetics. 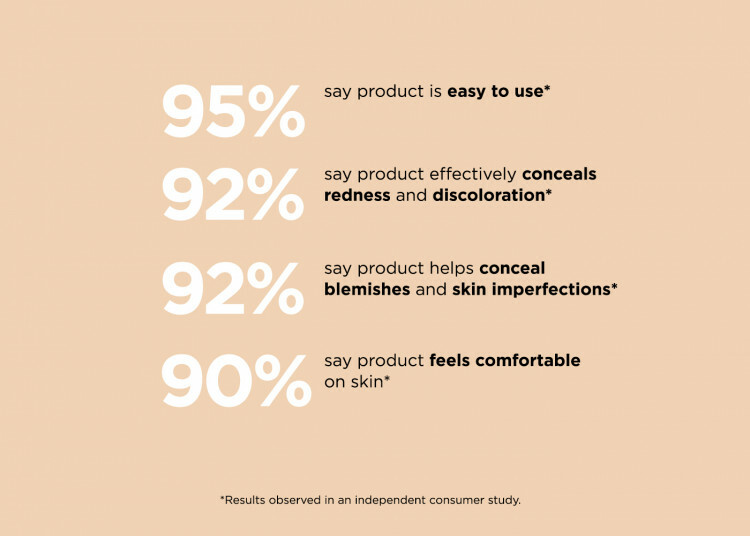 I've tried every product line out there and PUR is the only one my body doesn't hate! 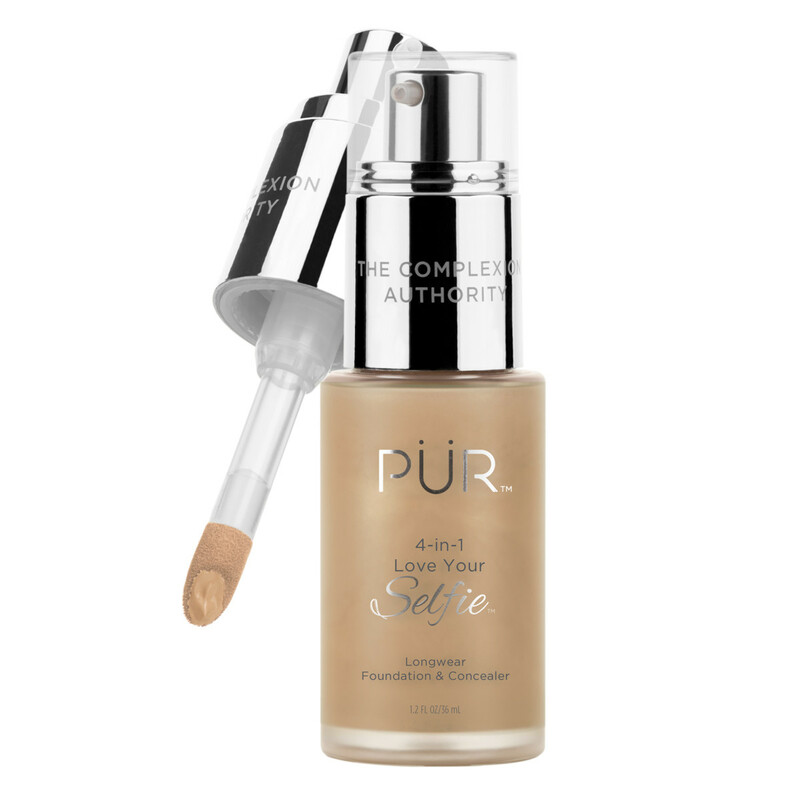 I have used the 4-in-1 Liquid Foundation for years and have tried all the other foundations from PUR as well. I LOVE the 4-in-1 but this Love Your Selfie is just as wonderful! It goes on smooth, has full coverage and last all day. My skin is dry and this makes it feel hydrated and healthy. I found a new foundation! Love Your Self(ie) Foundation Looks So Natural ? I Love This Foundation! It looks so Natural! It is very light wearing and non-cakey. I would say its a medium foundation and can work up to full coverage. It dries down nicely and did not give me a tight face feeling,I usually get from wearing matte foundation. I have combination skin and it held well. It comes with doe foot applicator inside to use as a concealer. I lightly applied it to my imperfect areas(I Have alot) blended then did one coat Foundation. I set it with lightly PUR med dark powder and Sprayed setting spray. It wore nicely and I forgot i put any on. The next day I applied more concealer and a little more Foundation. I found that it has long wear and only had to dab my nose once during the day. It is transferable but very little after it dries. It didn't enhance my pores and give me a very Natural finish. I even got a compliment about how good my skin looks. I have pictures of me at Disney World in over 80 degree weather. I covered my inperfections and looks like i no Makeup on. Would i Purchase this again? Absolutely! Is it my new go to? Absolutely! Now eveyday I'm ready for my SELFIE? This is a product that I was used quickly and still get the coverage I'm looking for. It conceals in the best way and under my eyes and around any problem areas. The foundation is lightweight, a great amount of coverage, and lasts throughout the day. There was nothing I did not like about the product. I felt like it gave a nice even coverage on my dry skin. 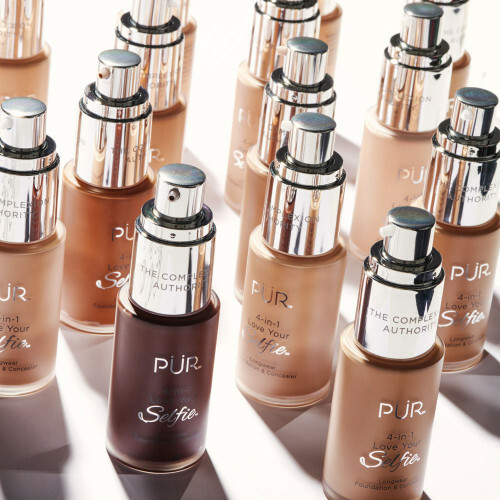 FABULOUS PUR 4-IN-1 Foundation, Concealer & SO MUCH MORE! I've received so many compliments on how great my skin looks wearing this product. I'm in my 50's with uneven skin tone and occasional acne breakouts. This product covers it all and has significantly helped reduce blotchiness & breakouts. I use it with PUR's Primer & the BHOLDER Dual-Action Applicator. My skin and makeup have never looked better! And with 100 shades, guarantee to match & improve any skin type!! First the packaging design is so pretty. I love that it has a pump and doe foot applicator, The foundation is amazing! Talk about lightweight AND full coverage! I love this foundation. The packaging is definitely a game changer. I love how you can use the applicator to apply the product as a concealer and foundation. The formula is very lightweight but still allows you to build for any extra coverage needed. The best part about this foundation is that is it the perfect shade!!! I want to start off with every aspect of this product, because I absolutely love this foundation. This has been the best foundation I have ever used like ever. First the concept of the pump and the large dough foot applicator inside, it's brilliant! The dough foot applicator I have used if I want a lighter coverage, also are used it for concealer application. The pump is perfect for getting more product out for a fuller coverage. Now for the actual formula of the product itself. It's thick but not too thick there is no greasiness to it at all, it will give you literally a flawless finish. I have deep and large pores and very oily skin and it literally will last me for Lawless oil free shine free perfect fresh looking application for 12 hours straight and that's when I finally took it off and I'm sure it would've lasted longer. There is literally nothing negative I can say about the product except I wish there was more product. And I also want to add the hundred shade ranges covers literally every single person on the face of this planet. I received this to try out and review and at first I didnt realize the pump and the doe foot but now, having both is LIFE-CHANGING. I love that i can do spot treatment / concealer and my foundation, and still save space in my overcrowded makeup bag. The formula is also awesome - I'm loving the product so far!! I've worn this foundation twice in LP1 and not only is it full coverage, but it's lightweight and the natural matte finish is gorgeous! Not too dry, and I felt my natural glow could still come through as I have combo skin. I don't usually wear full coverage foundations, but I loved this. It reminds me a lot of the OG 4-in-1 Liquid Foundation - like her more beautiful, sassier big sister! *I am an employee of PÜR, however, all opinions are my own. Both of us wearing 4-in-1 Love Your Selfie foundation. Photo is unretouched.